Jane Austen wrote her will at her home in Chawton, Hampshire, 27th April 1817. She was already very ill with the disease that would kill her only a few months later. She left almost everything she had (which was valued at about £800) to her sister Cassandra, to whom she was very close. For some reason, the will wasn’t signed by witnesses so two of her friends had to recognize her handwriting to vouch for its authenticity. 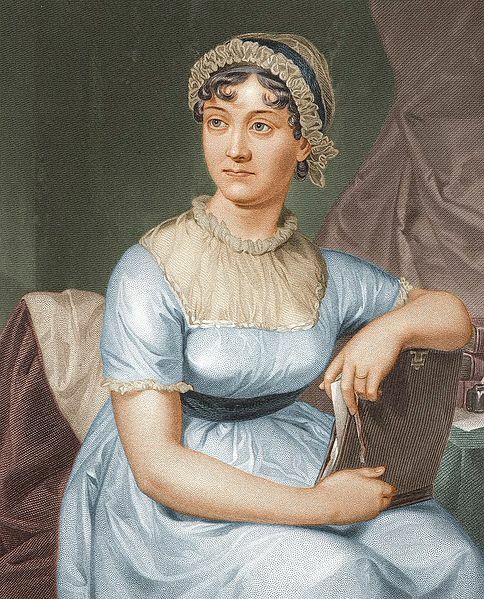 I Jane Austen of the Parish of Chawton do by this my last will & testament give and bequeath to my dearest sister. Cassandra. Elizabeth everything of which I may die possessed, or which may be hereafter due to me, subject to the payment of my Funeral expences, & to a Legacy of £50. to my Brother Henry, & £50 to Mde de Bigeon – which I request may be paid as soon as convenient. And I appoint my said dear sister the executrix of this my last will & testament.